One of Birmingham's most historic buildings is on course to be brought back to life after receiving a £2.5 million lottery grant. 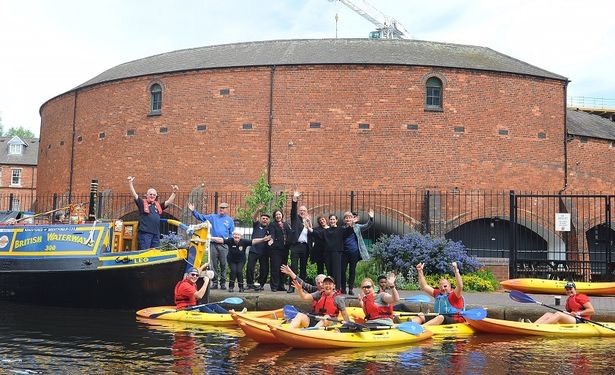 The funding will enable a partnership of charities the Canal & River Trust and National Trust to turn the Grade II*-listed Roundhouse, in Sheepcote Street, into a base from which to explore Birmingham's canal network. The Roundhouse was designed by local architect WH Ward and built in 1874 by the Birmingham Corporation when it was originally used as stables for canal horses and stores.Its distinctive horseshoe shape was immediately popular. Proposals for the building include a café, a cycle hire and repair workshop, volunteering opportunities and a shared working space. It will be run by the National Trust. It is anticipated The Roundhouse will attract more than 50,000 people a year. "The end result will be an inspiring and atmospheric space at the heart of our city's canal network from which to explore the waterways and the hidden histories of the people who made Birmingham."